Ever wonder what makes the paint stick to your wall? 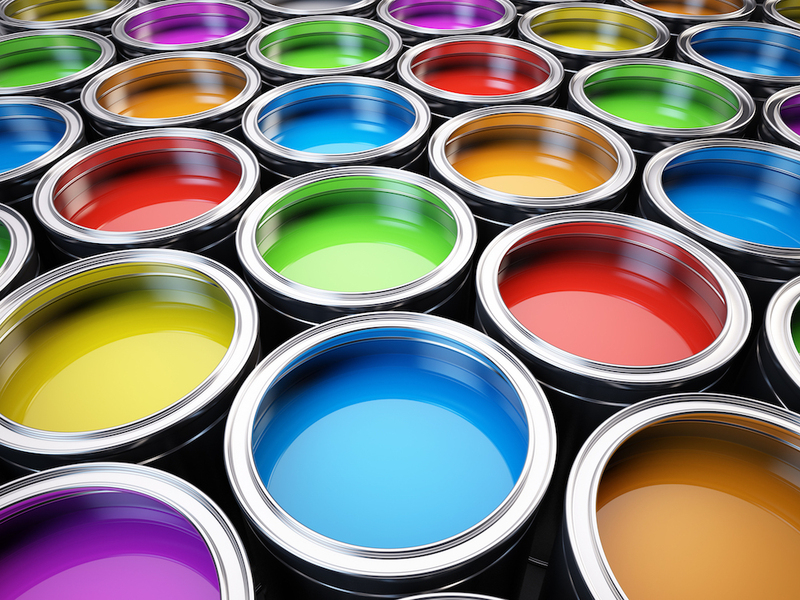 The magic chemistry behind paint drying is driven by volatile organic compounds—a term for a chemical that easily turns into a vapor or a gas. They’re also found in solvents, glues, and other home products… and they’re a major cause of poor indoor air quality. Now, researchers are discovering those compounds aren’t just confined to the indoors. They’re wandering outside, bumping into other compounds in the air, and creating secondary products like ground-level ozone and fine particles that are hazardous to our health. In a study out this week in the journal Science, researchers estimate that in the Los Angeles area, air pollution caused by products like house paint, cleaning agents, and a range of other products containing VOCs, is comparable to car and truck emissions. Brian McDonald, an atmospheric scientist at the University of Colorado Boulder joins Ira to discuss how these household products are becoming our cities’ biggest source of air pollution. Correction: A previous version of this article stated that more pollution is caused from products containing VOCs than from transportation emissions in the Los Angeles area. In fact, the emission levels are comparable. Brian McDonald is an atmospheric scientist at the University of Colorado, Boulder. Are you someone who is sensitive to the smell of gasoline? How about nail polish remover, glue? Well, what you’re really getting a whiff of there is something called a Volatile Organic Compound– or VOC for short– which is just a term for a chemical that easily turns into a vapor or a gas. You also find them in solvents, and paints, and other home products. And they are a major cause of poor indoor air quality. But now researchers are discovering those compounds are not just confined to the indoors. They’re finding their way outside, bumping into other compounds in the air, creating things like ground level ozone and health hazardous fine particles. And in a study out this week in the Journal Science, researchers estimate that in the Los Angeles area household products emitting VOCs are contributing as much to outdoor pollution as car and truck emissions. And given the traffic in LA, that is saying something. Joining me now to talk about this is Brian McDonald, atmospheric scientist at the University of Colorado Boulder Dr. McDonald, welcome to Science Friday. BRIAN MCDONALD: Hi, Ira. Thank you for having me here. IRA FLATOW: Oh, you’re quite welcome. If these compounds are bad for human health then why do we have them in so many products? BRIAN MCDONALD: Well, first I want to start off with that there’s a lot of useful uses of VOCs. For example, generally I’m guessing people want to smell nice. So some VOCs are fragrances that people can smell. They’ve got other properties like they’re used as solvents and they can carry other ingredients. So they’ve got some societal and economic value to them. Now, the question that this study is trying to look at is we also know that VOCs can potentially contribute to ground level ozone formation as well as the formation of fine particles– which was discussed a lot in the previous segment. So we know that there is value to certain VOCs, but we also know that they can impact the environment as well. IRA FLATOW: And how are they getting out? We talked about the indoors. How are they getting outdoors? You say you’ve discovered they’re contributing to outdoor air pollution. How did they get outside? BRIAN MCDONALD: Sure, that’s a very good question. So one thing people may not realize is that the building environment is intended to ventilate with the outdoor environment. We want the air to be fresh in our houses. And so that exchange happens about once per hour. And so a lot of the VOCs that get emitted into the building environment, it can stick on walls, it could undergo chemistry. But actually, a lot of that can get exchanged with the outdoor environment. IRA FLATOW: Interesting. OK. So they get outside, and what type of air pollution do they cause? BRIAN MCDONALD: Sure. So the two that this study really focuses on is the formation of ground level ozone– so when people think of smog they probably think of the two main building blocks, which are ground level ozone. And then the second dimension, which is particularly new in this study, is that the vapors that come off from these everyday use of chemical products can also form fine particles in the atmosphere. IRA FLATOW: So the particles bump into other things? BRIAN MCDONALD: Like the previous segment, they can bump onto other particles that are existing or they could form new particles. IRA FLATOW: You mention in your study that these products are contributing– and I thought this was amazing, maybe you found it amazing also– as much to air pollution as VOCs from car emissions. BRIAN MCDONALD: Yeah. So that was a very surprising dimension of this study. Every day I’m waking up in the morning, I’m going to my bathroom, and there’s a variety of products that I use. So, personal care products in Los Angeles ended up being one of the larger sources of VOCs that people are using within the household. So these are things like shampoo, hair spray, deodorant, creams, lotions. And it was very surprising to us– not just myself, but this was a large team of scientists that were on this paper– that these emissions were as large as what’s coming out of the transportation sector. But I think there needs to be some context to this story. Part of this is a good news story in the sense that in the past we knew that transportation was a really important source of emissions and VOCs, which contributed to those iconic pictures of smog in Los Angeles. And as a result of that, efforts under the Clean Air Act– and by the California Air Resources Board, US EPA– have really been successful at controlling those emissions, so now that we start seeing other sources of air pollution becoming relatively more important. IRA FLATOW: I was reading that 40% of the chemicals added to consumer products wind up in the air. BRIAN MCDONALD: Yeah. So we looked into the literature of researchers who have studied the indoor environment. Because one of the challenges with testing the emissions from these products is how they’re used. So for example, if you put paint on a wall, a lot of that will get into the air and then ventilate outdoors. Or if it’s on an outdoor wall, it’ll just emit into the outdoor environment directly. But if you’re using something like a hand soap, a lot of that will end up going down the drain. And so we looked at the research that was in the scientific literature and estimated what fraction goes up into the air versus goes down the drain or into landfills. And it was a surprising amount to us of how much can actually get into the air. IRA FLATOW: We put three reactors on cars for the exhaust to keep out some of these harmful things that might be coming out of the tailpipe. I’m just thinking out loud here– can you put something on the stuff in the house to trap the extra stuff from getting out somehow? Have you thought about that? BRIAN MCDONALD: Yeah. So I think what this study really tries to do is point out that these emissions are potentially significant. I think there’s a lot of questions about, well, what are some possible solutions. And I think that there’s a lot of possibilities to explore. One is a lot of research in the indoor air quality community does look at things like filtration– so what could you do in the indoor environment to improve the exposure to some of these chemicals as well as prevent them from getting outside. But there’s a lot of different avenues that one could foresee. IRA FLATOW: And of course there are products that don’t contain VOCs in them. I know the California Air Resource Board has a website, right? IRA FLATOW: And there’s an Environmental Working Group that has a website so people can find some of these things that won’t get outside– or stay inside. BRIAN MCDONALD: Yeah. So I encourage people if they have questions about this that the California Air Resources Board and the US Environmental Protection Agency have some really nice resources on the VOCs that are in these products. And if you have questions about how they affect air pollution, they’re really good. IRA FLATOW: All right. Thank you for your research and for coming on Science Friday. BRIAN MCDONALD: Thank you very much. IRA FLATOW: Brian McDonald, atmospheric scientist at the University of Colorado in Boulder. Urban air pollution’s health effects may be significant enough to cancel out the health benefits of a brisk walk, according to a recent study.